We say it every week now, but again, it was a huge weekend of racing. We had two Ultra-Trail World Tour events–the Western States 100 and the Lavaredo Ultra Trail, a Skyrunner World Series race– the Olympus Marathon–and a World Mountain Running Association event. Highlights from all of this global excitement are in this week’s column. iRunFar was on site and online, and has separately provided deep coverage of the historic event. The famed point-to-point Western States 100 course was marked by snow and mud over the opening 15 miles, and exceptionally hot conditions the rest of the way. It’s likely that most of our readers already know what happened here. Jim Walmsley’s 2016 moonshot went wide right, and the 2017 rocket fell back to earth 22 miles short of its intended landing place. Faster and more experienced than a year ago, Walmsley stuck to his guns and largely matched the unbelievable 2016 pace through 62 miles, despite the harder conditions of this year’s race. Not long after leaving Foresthill, he ran into trouble and eventually exited the race at the American River crossing, mile 78. Ryan Sandes (South Africa) was largely overlooked in the iRunFar prediction contest. Just two people picked Sandes to win the race. After all, he was five years away from of his super-quick 15:03 second-place run. Though well back of Walmsley, Sandes led most chasers through much of the race’s first half and when the early leader went down, Sandes made it to Auburn relatively uncontested for a convincing 16:19 win. Reflective of the conditions, it was the slowest winning time since 2009. Sandes is said to be going for a never-before-done double this summer. He is expected to race the World Championship Pack Burro Race in Colorado on July 30. Second-place Alex Nichols overcame training limitations due to spring injury and expertly paced himself to a 16:48 finish. It was only his second 100-mile race. Surprise podium finisher Mark Hammond closely followed in 16:52. Hammond was seeded just 21st on the collective prediction contest. He also followed Nichols at last year’s Run Rabbit Run 100 Mile when Nichols was first and Hammond was second. The team will recap the race dynamics separately, but such a deep field deserves a full roll call of each of those named in the pre-race preview. In addition to Walmsley, other notable drops included David Byrne, Nate Jaqua, and Brian Rusiecki. The top finisher not included in the pre-race preview was Katsutoshi Saijo. He was 22nd in 21:38. Up to this point, Cat Bradley was probably best known for her course record at the 2016 Rio del Lago 100 Mile. Her life is likely going to be a little different now, as she’s an overnight star. Some 150-plus years after the miners found gold in the Sierra Nevada, Bradley struck her own gold and won the iconic race in 19:31. Just a single ballot in the iRunFar prediction contest pegged her as the race winner, and she was ranked just 16th in the collective group-think poll. Only 25 years old, Bradley has been running ultras for a few years though. Seventeenth at the 2014 Pine to Palm 100 Mile, second at the 2015 Bear 100 Mile, 1st at the 2017 Canyons 100k, she has made a huge jump to the sport’s top ranks in a short time. Not to minimize Bradley’s accomplishment but to instead provide context, as was done with the men’s race, this was the slowest women’s winning time since 2000, owing to the race’s harsh conditions. That year’s race was won by one Ann Trason in 19:44. 2015 race champion Magdalena Boulet overcame last year’s drop and was second in 19:49. Much like the men’s race, third place was again a big surprise. Here it was Sabrina Stanley going 20:11 for third. Stanley was fourth at the 2016 Leadville Trail 100 Mile, but was pegged just 22nd on the group prediction contest. This one too will be recapped in greater depth separately, but let’s again give the whole pre-race preview roster a rundown. Notable drops included Amanda Basham, Clare Gallagher, Camille Herron, Amy Sproston, Alissa St Laurent, and YiOu Wang. The top women’s finisher not included in the pre-race preview was Suzi Swineheart. She was 17th in 25:09.
iRunFar will report on this one separately too! 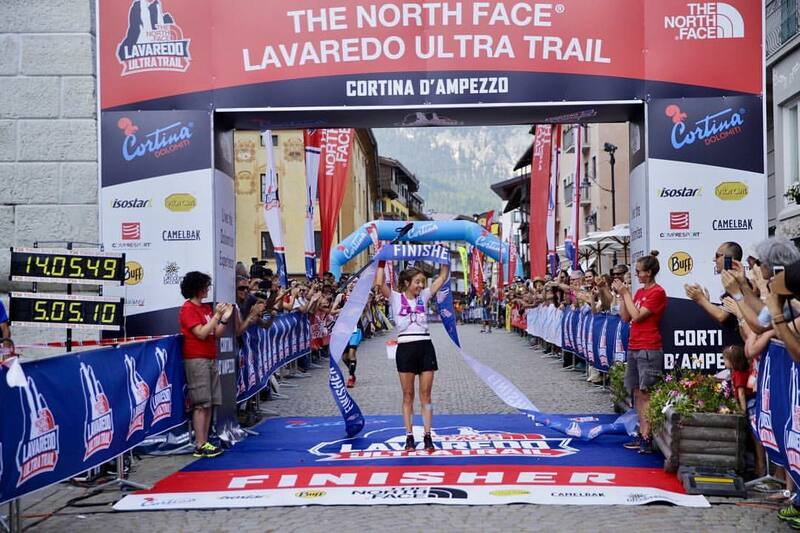 Now in its 11th year, the Ultra-Trail World Tour Lavaredo Ultra Trail took in 119k of Italian Dolomites goodness, against some 5,850 meters of elevation gain. iRunFar was there and covered the race live. Just seventh at the Madeira Island Ultra-Trail earlier this year, Fabien Antolinos found trail magic here. The Frenchman edged Seth Swanson (USA) to take the overall win, running 12:32 to Swanson’s 12:34. Certainly this is a strong result for Swanson too, coincidentally on the same weekend of the race that brought him fame. The two leaders were way out in front of surprise third-place finisher Erik-Sebastien Krogvig (Norway), who ran 13:09. No surprise in the women’s race, Caroline Chaverot (France) is rock solid and rarely misses. Twelfth overall, Chaverot was 25 minutes off her own course record, but this year’s winning 14:05 was another dominating victory. Chaverot is pushing her taper late, but the expectation still has to be a course record at next month’s Hardrock 100. Second-place Ruth Croft (New Zealand) ran 14:51, and third-place Lisa Borzani (Italy) was well back in 15:53. Almost two hours separated the top-three ladies. The next UTWT race is the July 15 Eiger Ultra Trail 101k in Switzerland. As is common among European mega-races, the Mont Blanc Marathon had some five race distances spread over the weekend, including the eponymous marathon. Things started with a 3.8k distance Vertical K. Men’s winner Yoann Sert (France) reached the mountain pinnacle in 36:25. Andy Wacker (U.S.A.) was fifth in 37:58. Uphill specialist Laura Orgué (Spain) was women’s best in 42:48. Xavier Thévenard (France) demonstrated his pre-UTMB fitness with victory in the long-course 80k race. Thévenard’s 11:03 was 13 minutes up on second-place Cristofer Clemente (Spain). 2016 CCC winner Mimmi Kotka (Sweden) mastered the women’s group with a winning 12:59 finish. Lucy Bartholomew (Australia) was second in 13:23, and for American readers, Marianne Hogan (Canada but living in the USA) was fifth in 14:36. Hogan earlier this year won the Quad Rock 50 Mile ahead of Kaci Lickteig. In the women’s marathon, Megan Kimmel (USA) won a big match against Ida Nilsson (Sweden). It wasn’t really that close. Kimmel was way out in front at 4:40, nine minutes better than Nilsson. Annie Jean (Canada), who appears to have traded her Croc-type DAWGS shoes for Salomons, was third in 4:51. 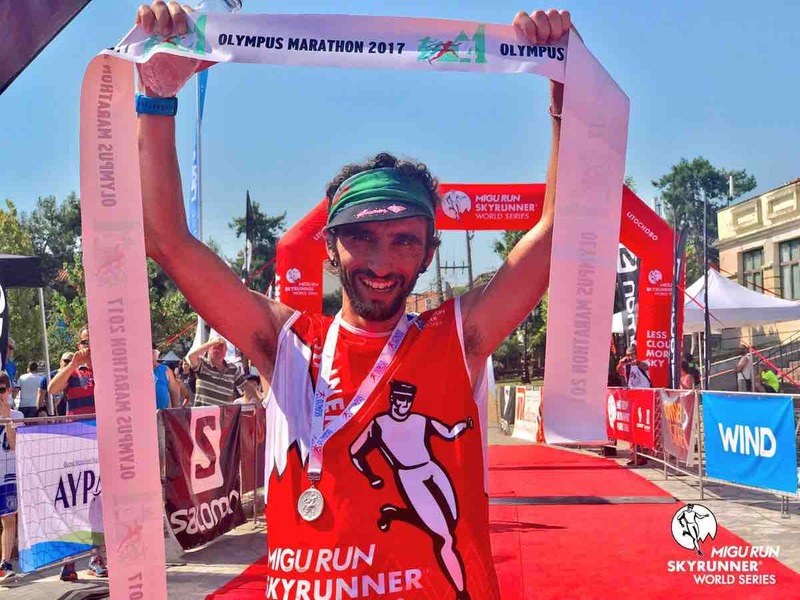 The Olympus Marathon was a Skyrunner World Series Sky Classic race. 44k in distance, the up-and-down race gains 3,200 meters of elevation. Both men’s winner Aritz Egea (Spain) and women’s champ Ragna Debats (Netherlands) set new course records in the race’s 14th running. Egea was basically unchallenged. His 4:24 winning time was 19 minutes better than second-place Jessed Hernandez (Spain). It was Hernandez who previously held the course best, having run 4:33 way back in 2008. Third-place Kiril Nikolov (Bulgaria) finished in 4:44. Debats’s 5:18 winning time eclipsed Stevie Kremer‘s previous course record by three minutes. Second- and third-place Laura Sola (Spain) and Hillary Allen (USA) followed in 5:32 and 5:37, respectively. The next Skyrunner World Series event, also a Sky Classic race, is the July 8 BUFF Epic Trail 42k in Spain. The World Mountain Running Association event hosted some 16 countries for runners aged 16 to 17 years. The boys competed over 5.3 kilometers and with 340 meters of gain, and the girls went for 3.85k with 250 meters of gain. Both courses were up and down. In the event’s 12-year history, this was the first time that the USA has fielded a team. The host country swept the top individual positions with Alain Cavagna and Nadia Battocletti winning in 23:37 and 18:45, respectively. The top American boy was Nathan Davis, 18th in 26:01. The top American girl was 11th-place Joslyn Blair in 20:38. Turkey won the boy’s team title, with Italy finishing second. The U.S. boys were seventh. The Italy girls won ahead of the Czech Republic. The U.S. girls were fifth. Japan’s Lake Saroma 100k is historically fast, and at this year’s race Tatsuya Itagaki (Japan) ran 6:14:18. It was the second-fastest road 100k ever, trailing only a 1998 mark at this same race by just 45 seconds. When including track performances, Itagaki’s run was the third-fastest 100k regardless of distance. The victor ran 2:17 for the marathon distance just three weeks ago. Women’s winner Yuri Kano (Japan) ran 7:37:21. We hit the big races, but what about regional events like the Black Hills 100 Mile, San Juan Solstice 50 Mile, and Alaska’s Kesugi Ridge race? 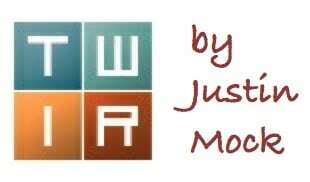 Can our readers provide highlights from those events? Leave a comment. Thanks! Thanks for all the great coverage and race info! 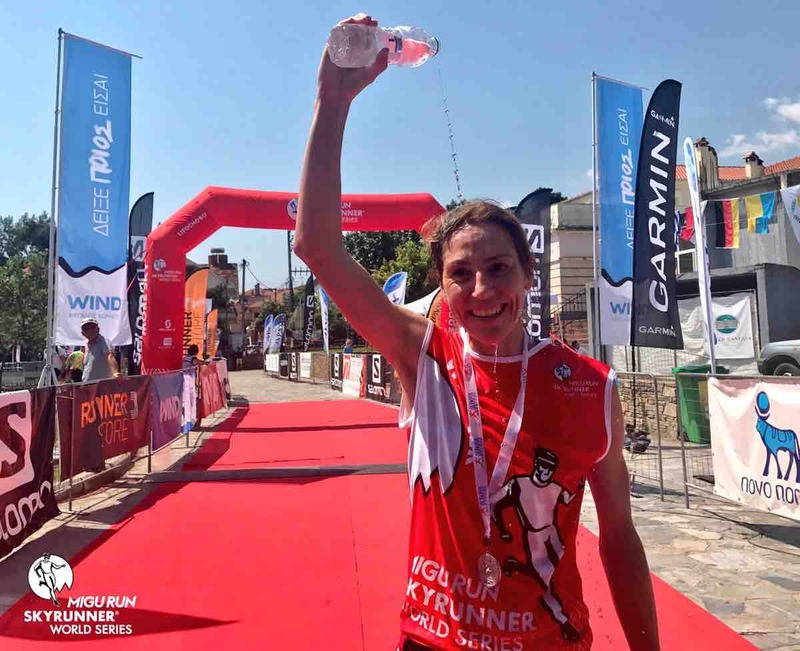 In Spain Gemma Arenas won Gran Trail Peñalara, a 110km and 5100m vertical gain trail in the Madrid mountains, in 16h19, so just chilling compared to her 14h34 course record. Just a small note, but Andrius Ramonas from Lithuania isn’t the same guy as Andris RONIMOISS from Latvia, who actually was 9th at Lavaredo this year. Marianne Hogan is actually Canadian though living in Boulder. Alex, ah, I thought the Lavaredo live tracking system had a major typo. Thanks for writing to let us know! I am pretty sure I picked Ryan to win, but I didn’t write my picks down, so I can’t remember. And I wish it were some sort of divine intervention, but it wasn’t. I just felt like Jim was going to go out too fast, have a super world class epic explosion and lose a couple of hours (except I still figured he could finish 3rd even after losing a couple hours). I think I just felt Ryan was due and had done well before at WS when he showed up fit. Most of the rest of my picks I am pretty sure weren’t pretty either. Amazing race by Tatsuya Itagaki. Unbelievable that he ran 13 minutes faster than Max’s American Record. Kudos Tatsuya. the Sri Chinmoy 3100 is still going strong. A slightly weaker field than year’s past, nonetheless, merely being in shape to face such a race is a daunting challenge. At the rugged 30-mile Kesugi Ridge Traverse in Alaska’s Denali State Park, 50-year-old Harlow Robinson claimed the win in 5:25:58 despite dealing with cramps in the warm conditions. Racing her first ultra, Milissa Knox prevailed among women in 7:37:16. The accompanying Half Traverse (14.5 miles) saw Colleen Bolling snag the overall win in 2:40:05 after Chris Marchant took a late wrong turn. Marchant hung on to win the men’s division by 41 seconds in 2:46:45. The race was held just six days after a black bear killed a 16-year-old boy shortly after he completed the Bird Ridge Hill Climb. That tragedy rattled the mountain- and trail-running community and led to a one-year cancellation of the iconic Crow Pass Crossing, which had been slated for July 22. A vast majority of Kesugi participants carried bear spray repellent, though doing so was not required. Many traveled in groups for additional safety. No bear sightings were reported. Curious, the Crow Pass Crossing – is it in an area where bears are more prevalent, or was the decision to cancel just one unique to that race director? Both. There are lots of bears along the Eagle River, with sightings probably every year. I’ve encountered them during the Crow Pass Crossing race myself (as well as during other races). The race director is concerned about safety, but also concerned about liability to the University of Alaska Anchorage. He didn’t want to rush with implementing safety plans, thus the year off. 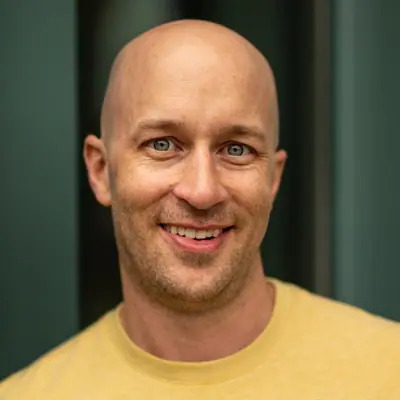 I was sorry to learn of last week’s tragic death, but am heartened that you and the Alaskan trail running community carried on at Kesugi Ridge. From a photo Chris Butcher posted on Facebook, it looked like a gorgeous day! First, a big thanks to IRF for their amazing coverage. Your dedication and hard work is simply astonishing. I am disappointed that the first comments about WS to be of Jim Walmsley. I understand many people were interested in what happened to him but by mentioning this first it seems to give greater interest in him than the winners. I find that…disappointing. It seems to take away from the amazing accomplishments of the winners of the event. Jim’s effort was also an amazing accomplishment. Meanwhile at the 10th annual (at least) Logan Peak Trail Run 26 miler held in Logan, UT with a field of 110 runners. The women’s podium winners were local Kathryn Graham with a time of 5:20:32, followed by Gretchen Hurlbutt of Boise and local Estee Hunt in 3rd. Men’s podium consisted of Lars Kjerengtroen of SLC with a time of 4:05:41, followed by local Cody Draper and Jacob Winters of Lake Point, UT. The weather was good, sunny and moderate temps. However the trail had lots of dead fall and many deep snow drifts still, resulting in slower times than the average. Also the upper aid station was unreachable by vehicle due to poor road conditions and was cancelled, so most runners were carrying more than usual, having to fend the middle 20 miles or so on their own without aid. Paul Giblin’s (now 2 top ten finishes at Western States) course record was smashed by Rob Sinclair in 13:41.08 – an incredible performance. I probably should have waited a few more minutes after Giblin’s WS100 finish to tell him he lost his WHR course record. 4 10K, 30K, and 60K races occurring every 3 weeks. Fun fact: The weeks three biggest races were all hosted by former Winter Olympic host cities. Epic ski towns make for epic ultras! 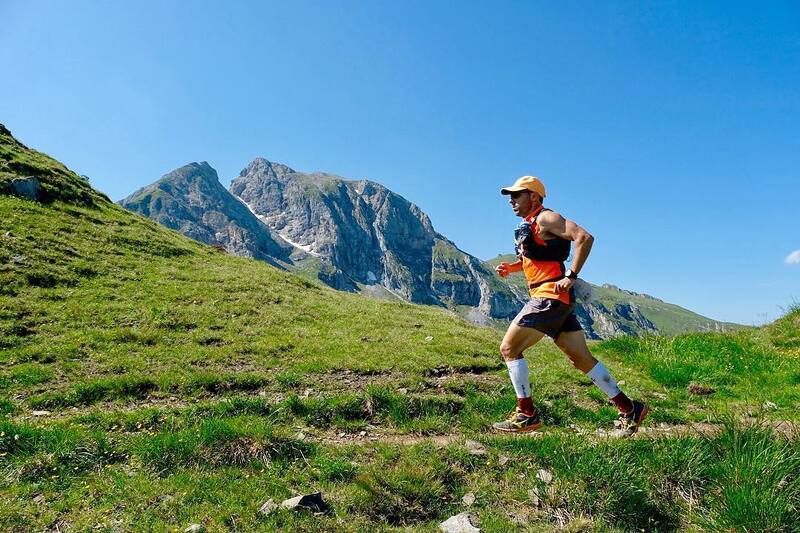 Is Kilian now attempting to do the Hardrock UTMB double (If UTMB lets him in)? That’s a double-win that will be a nice addition to his list of accomplishments. I might have missed a mention, but same day as WS is the Black Hills 100/50/50k. Beautiful course, great organization and race directors, and of course, awesome volunteers. Nicest weather for the race in years as a bonus.